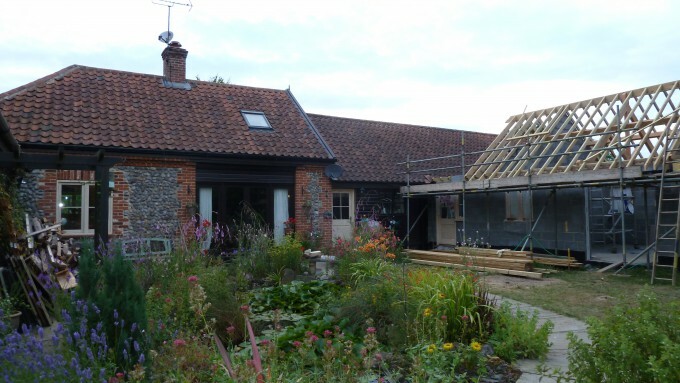 Mr & Mrs M have a barn conversion property which they were extending, in addition to renovating the existing property. 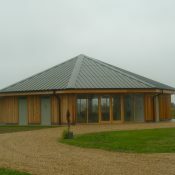 Their property is part of a complex of barns, and the extension was to form an annexe with separate bathroom and kitchen. 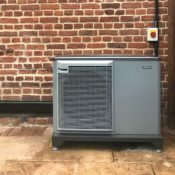 Mr & Mrs M had met Richard at the annual Greenbuild event at Felbrigg and R A Brown had been recommended by their neighbour as they had also had an ASHP installed through R A Brown. 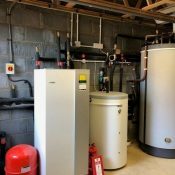 When looking at the heat load requirement for the property, it could not be met with one single phase heat pump, so two 12kw ASHP’s were installed to be able to meet the heat load. 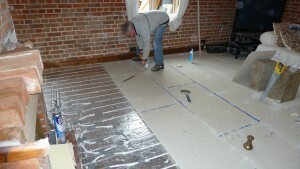 Underfloor Heating was fitted through the new section of the property on ‘staple and screed’ and through part of the original building, the lounge, kitchen part of the hallway, using an overlay system. 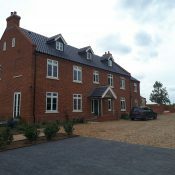 Mr M laid his own boards on the overlay system allowing him to reduce labour costs and this was planned into the project timescales.